Why was I charged Athletics, College, Health, Technology and Transportation Fees? Broad based fees are generally charged to all students enrolled within SUNY (State University of New York) to finance discrete activities that benefit the student body — excluding those activities that are part of the core instructional program. These include Athletics Fee, College Fee, Health Fee, Technology Fee and Transportation Fee. Those who reside outside of Erie and Niagara counties AND are enrolled exclusively in on-line courses that never meet on campus. If you believe you qualify for a waiver based on the criteria above, you must log in to Banner Self Service, then go to Student>Student Account. Click on "Broad-based Fee Waiver Requirements" and follow the instructions to apply for the waiver. You can pay your bill online by e-check or credit card (Visa and MasterCard are accepted) via QuikPay. To view and pay your account, log into Banner Self Service and click “View/Pay Account” on the left side of the screen. This will take you to QuikPay, where you will click “View Accounts”. Click “Current Statement” to view the most recent bill that was generated for you. NOTE: This is a reflection of your student account as of the billing date listed on the statement. For the most up-to-date view of your account, which may include charges or payments incurred after the last bill was generated, click “Account Status”. Payments are also accepted at our payment counter located in the upper lobby of Moot Hall using check (payable to Buffalo State), money order, Visa, MasterCard or cash. Do you have a payment plan? How does the payment plan work? Yes, you can set up a payment plan online via QuikPay. Payments will automatically be debited on the 5th day of the applicable month from the bank account or credit card you designate. There is a $35 enrollment fee charged upon enrollment. The Nelnet Payment Plan is currently not available for prior balances. Do I have to pay a health fee if I have my own health insurance? The student health fee is NOT health insurance. The health fee is charged to students, regardless of whether they hold the their own health insurance or enroll in the campus health insurance plan. The health fee provides basic medical assistance to all students at the Weigel Health Center and supports operation of the campus's counseling centers. Is there a fee for registering late? Continuing matriculated students must initially register for classes during their assigned registration period. Making changes to your schedule (dropping or adding courses) after the assigned registration period is permitted within the drop/add period without financial penalty. However, students who register for the first time after the first day of classes will be assessed a late registration fee of $40. Visit Failure to Pay & Penalties for more information. I dropped/withdrew from my class. Why am I still being charged? Withdrawing from college does not remove financial obligation. Your date of withdrawal from the college through the Registrar's Office is used to determine tuition/liability decrease. Please visit our Refunds and Financial Liability page to view refund and liability schedule for the semester from which you withdrew. Withdrawing can also impact your financial aid eligibility, and may result in a balanced owed. The due date can be found near the upper right hand corner of your current statement. You can access your statement through via Self Service Banner. Once logged in, click “View/Pay Account” on the left side of the screen. This will take you to QuikPay, where you will click “View Accounts” then “Current Statement”. How can I get a book deferment? Students that are expecting a refund from their financial aid may be eligible to use up to $750 of the refund in the college bookstore. The textbook deferment can be used to purchase new or used textbooks or to rent textbooks. NOTE: There are deadlines for requesting a text book deferment each semester, and there is a two-business day delay from the time the student requests a deferment until they can use the line of credit in the bookstore. Students should plan accordingly. You can apply for your text book deferment online or you may also apply in-person at the Student Accounts Office. How can I make my tuition or housing deposits? You can make both tuition and housing deposits online, payable by e-check or credit card (Visa or MasterCard are accepted). Payments are also accepted at the Student Accounts payment counter located in the upper lobby of Moot Hall using check (payable to Buffalo State), money order, Visa, MasterCard or cash. When are late fees added to my bill and how often? Failure to pay your bill in full by the due date (or defer with approved financial aid) will result in a $30 late payment fee. Fees are assessed monthly; a $30 late fee is added to each follow-up delinquency bill. Can my parents view and pay my bill online? Yes, students can add “Authorized Payers” to their account. The student will logon to their account QuickPay Account and select the “Authorize Payers” option from the left toolbar. Authorized users will receive e-mails via the e-mail address designated by their student notifying them when an e-Bill is available. How do I set up or change my direct deposit information?  Completed direct deposit forms can be faxed (716-878-4063), scanned and emailed (stuaccts@buffalostate.edu), or submitted in person to the Student Accounts Office at Moot Hall. When am I getting my refund? Most types of aid are disbursed directly to the school on behalf of the student. All aid and payments are first applied to the student's billed charges. Only after all charges are paid will a student receive a refund, and according to the Federal and State aid disbursement schedule. How do I get a copy of my transcripts? Transcripts are obtained online through the Registrar’s Office. Will my delinquent bill be sent to collections? Yes. Unpaid accounts are, in due course, turned over to an external collection agency. Collection costs and interest are added to the amount of indebtedness. Please pay bills promptly to avoid penalties/late fees, additional costs and other financial consequences.